Mosquito Control Johns Creek, GA | Bug-Off Exterminators, Inc.
Our mosquito control techs in Johns Creek, Georgia have years of experience handling every manner of mosquito control situation. They have the expertise to quickly and efficiently handle any mosquito control scenario you send our way no matter how big or small. Our pest control technicians have experience responding to both commercial and residential mosquito control calls. Whether you need to keep your yard at home or your company property free from mosquitoes, you can count on our high-quality mosquito control in Johns Creek. We spray a better pesticide solution for mosquito control. It can lasts for several weeks between applications to keep your property protected for long stretches between visits from our techs. 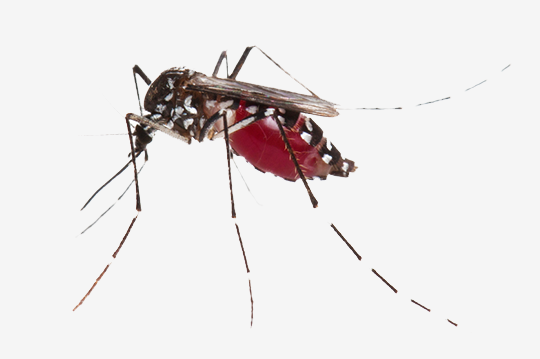 Mosquitoes are one of the primary nuisances that can derail a good time during the summer. It is crucial that you take steps to keep mosquitoes from disrupting your outdoor fun this summer. When you want to keep your outdoor gatherings free of mosquitoes, it is best to turn to a professional mosquito control company. Our mosquito control program consists of a misting spray application and trap. The misting will exterminate the current adult population. The mosquito trap will become a breeding ground allowing it to eliminate the eggs and larva before they can become adults. Mosquitoes can be a real nuisance if you leave them untreated. You should turn to a professional mosquito control company when you want to be sure that the mosquitoes are gone. Our pest control experts ensure you summer fun is never ruined by a squadron of mosquitoes. When you get in touch with us for mosquito control in Johns Creek, our pest control techs come to your property quickly to get the situation under control. Our treatment is a simple, powerful approach to mosquito control. We come to your property and spray all the areas that need to be covered in order to prevent mosquitoes from making themselves at home on your property. When our mosquito techs spray your property, they will spray your tall grass, the lower limbs of your shade trees, your flower beds and the other shaded areas of your building where mosquitoes like to gather. There is no need for your lawn to be sprayed, ensuring that your family and pets can enjoy your grass. 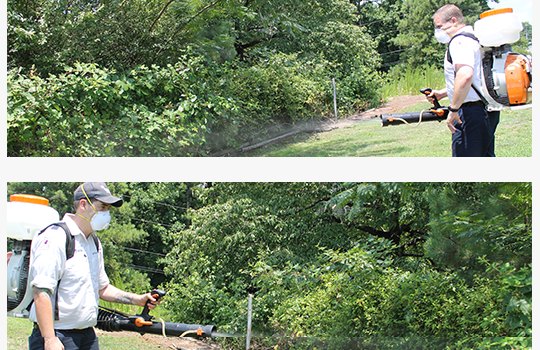 The mosquito control tech uses a leaf blower spray backpack to apply our better form of mosquito spray. With one application, your property will be protected from mosquitoes for weeks. Our mosquito control spray does not have to applied to your lawn, and you never have to worry about it harming your plants either. It is best to get the spray monthly though. The weather will break it down the spray over time, and it needs to be reapplied every month to keep it working effectively. Turning to our mosquito control crew serving Johns Creek is the way to go. Our excellent mosquito control technicians can handle all your commercial and residential mosquito prevention needs. We are here for you when you want to live your summer free of the pesky whine of mosquitoes in your ear. Get a hold of us today if you desire to keep your property free from mosquitoes.